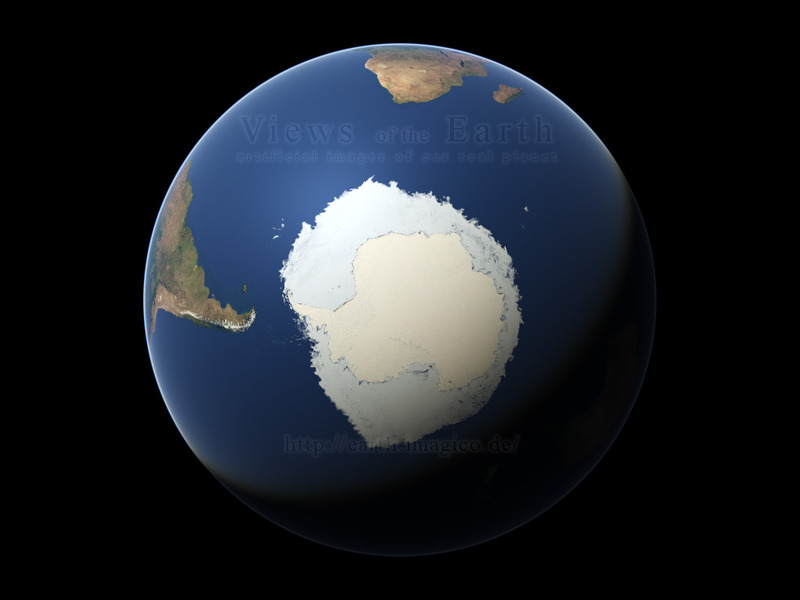 Here you can find up-to-date images of the sea ice coverage in northern and southern polar oceans using the Views of the Earth visualization techniques. 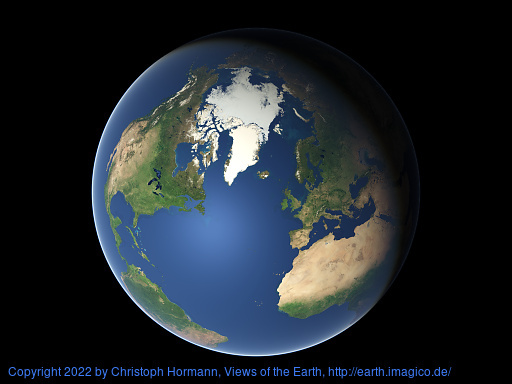 These image use data from the AMSR2 sea ice concentration data from the University of Bremen. Further data sources can be found on the Views of the Earth credits page. Sea ice areas listed below are rough estimates and might significantly differ from values elsewhere. Please note the lighting on the images here has been adjusted for good visibility of the sea ice coverage. It does not represent the lighting at the time the sea ice data represents. The ice coverage was a very nice addition to Your site. The calender works well, but may I suggest a Ogg/Theora animated sequence? 24 h = 24 frames = 1 second, or something like that.